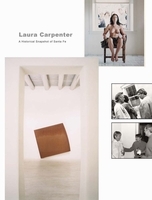 Hardcover, 6.25 x 9.5 in. / 384 pgs / 225 color. "delectable eye candy for lovers of books and reading.... an exuberant celebration of a bookstore"
Edited with introduction by Krista Halverson. Foreword by Jeanette Winterson. Epilogue by Sylvia Whitman. This first-ever history of the legendary bohemian bookstore in Paris interweaves essays and poetry from dozens of writers associated with the shop--Allen Ginsberg, Anaïs Nin, Ethan Hawke, Robert Stone and Jeanette Winterson, among others--with hundreds of never-before-seen archival pieces, including photographs of James Baldwin, William Burroughs and Langston Hughes, plus a foreword by the celebrated British novelist Jeanette Winterson and an epilogue by Sylvia Whitman, the daughter of the store’s founder, George Whitman. 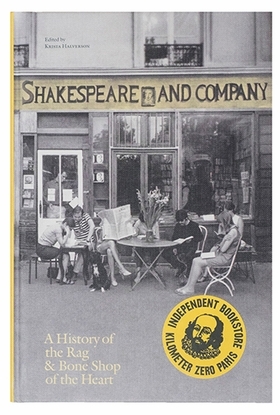 The book has been edited by Krista Halverson, director of the newly founded Shakespeare and Company publishing house. George Whitman opened his bookstore in a tumbledown 16th-century building just across the Seine from Notre-Dame in 1951, a decade after the original Shakespeare and Company had closed. Run by Sylvia Beach, it had been the meeting place for the Lost Generation and the first publisher of James Joyce’s Ulysses. (This book includes an illustrated adaptation of Beach’s memoir.) Since Whitman picked up the mantle, Shakespeare and Company has served as a home-away-from-home for many celebrated writers, from Jorge Luis Borges to Ray Bradbury, A.M. Homes to Dave Eggers, as well as for young authors and poets. 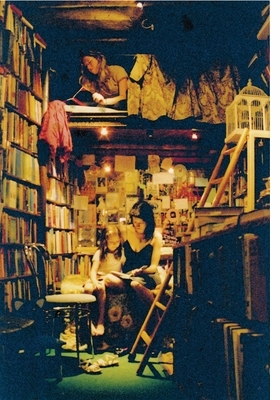 Visitors are invited not only to read the books in the library and to share a pot of tea, but sometimes also to live in the bookstore itself--all for free. Krista Halverson is the director of Shakespeare and Company bookstore’s publishing venture. Previously, she was the managing editor of Zoetrope: All-Story, the art and literary quarterly published by Francis Ford Coppola, which has won several National Magazine Awards for Fiction and numerous design prizes. 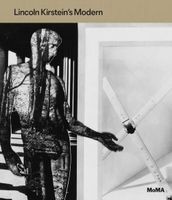 She was responsible for the magazine’s art direction, working with guest designers including Lou Reed, Kara Walker, Mikhail Baryshnikov, Zaha Hadid, Wim Wenders and Tom Waits, among others. Jeanette Winterson's first novel, Oranges Are Not the Only Fruit, was published in 1985. In 1992 she was one of Granta’s Best of Young British Novelists. She has won numerous awards and is published around the world. Her memoir, Why Be Happy When You Could Be Normal?, was an international bestseller. Her latest novel, The Gap of Time, is a "cover version" of Shakespeare’s The Winter’s Tale. 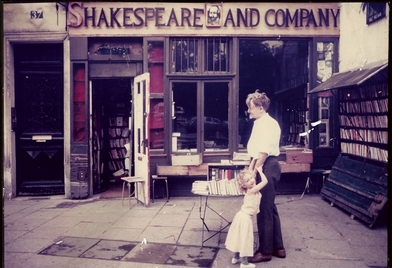 Sylvia Whitman is the owner of Shakespeare and Company bookstore, which her father opened in 1951. She took on management of the shop in 2004, when she was 23, and now co-manages the bookstore with her partner, David Delannet. Together they have opened an adjoining cafe, as well as launched a literary festival, a contest for unpublished novellas and a publishing arm. Featured image is reproduced from Shakespeare and Company, Paris. Now, much to the delight of its many customers and occasional tenants, the shop’s history has been compiled into a book all of its own, entitled Shakespeare and Company Paris: A History of the Rag & Bone Shop of the Heart – a satisfyingly weighty hardback tome which places poetry, handwritten notes and even music scores side by side with biography and literary extracts in a chronological order so charming that it hardly seems possible that it can be so extensive. It’s gritty, indulgent, wild, perfect and pure inspiration. A must-have for anyone who believes in the power of the independent bookstore. This profusely illustrated 65th-anniversary tribute to Shakespeare and Company, the renowned Left Bank bookstore and mecca for 20th-century literati, is delectable eye candy for lovers of books and reading. Edited with love with Krista Halverson, [this] is the nearest thing you'll get to this wonderful book shop on Paris' Left Bank without actually crossing the Channel... Order the book and that will tide you over until your next- or your first- visit. A new history on one of the world's great bookshops. To call Shakespeare and Company a bookstore doesn't do it justice. The Paris landmark is a literary salon and an unconventional hotel where guests, called Tumbleweeds, help run the shop. Now the English-language bookstore has published its first title. Shakespeare and Company, Paris: A History of the Rag & Bone Shop of the Heart, a glorious volume thick with old photographs, newspaper clippings, and reminiscences. 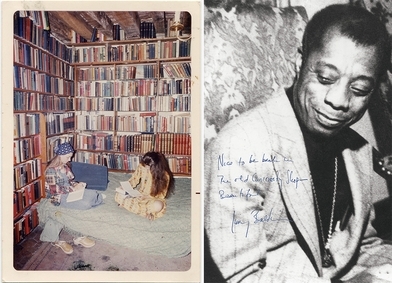 Many celebrated writers including James Baldwin, Allen Ginsberg, and Anais Nin considered the shop their home away from home. Drawing on never-before-seen archives, it's the first book to share the full story of the legendary shop founded by Whitman's late father, George, an American expat, in 1951. 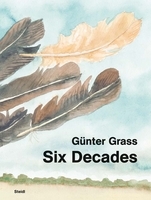 A decade-by-decade narrative is interwoven with photographs, newspaper articles, poems, diary entries, and reminiscences by Allen Ginsberg, Anaïs Nin, Ian Rankin, Ethan Hawke, and others who have crossed the threshold of this literary landmark. Shakespeare and Company, the small, crumbling bookshop on Paris's Left Bank, may be the most famous bookstore in the world... Conceived as a 'memoir' instead of a history, the project is essentially a rigorous attempt to explain what, exactly, Shakespeare and Company is. With a community over 65 years old comes a great history and an even greater archive... Shakespeare and Company, Paris: A History of the Rag & Bone Shop of the Heart not only examines the bookstore's presence within the city over time, but features works by acclaimed artists associated with the site, like Allen Ginsberg, Anaïs Nin, Ethan Hawke, Robert Stone and Jeanette Winterson, among others. 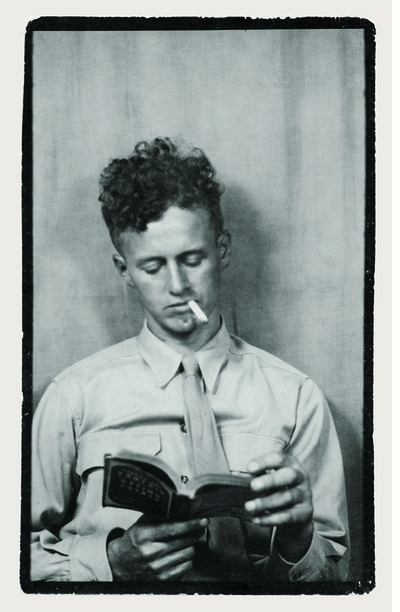 ...the biography reads like a multi-faceted oral history and is told in many layers: colored photographs, tumbleweed biographies, recountings from former employees and writers-in-residence. The story it tells is as varied, unique, and romantic as the shop is. ...affectionate tribute...makes you long to live la vie bohème in Paris. 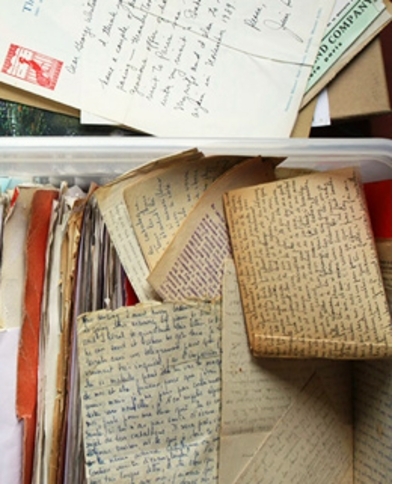 An English-language bookshop founded by George Whitman on the banks of the Seine in Paris has been hosting writers and selling the occasional book for 65 years. Krista Halverson explores the history of a countercultural institution and the legacy of Sylvia Beach. Even if you have never entered Shakespeare and Company, this book evokes redolent mustiness, the creaking and crinking of readers shifting in their chairs, the sound of iconic authors turning pages as they read to a rapt audience. It is the familiarity of imagination transporting you to times and places you may or may not have been, and in doing so a sense of this place’s personality becomes undeniably present, so much so that you might feel you were there too when Italo Calvino and Pablo Neruda drank wine from empty tuna tins. With a wealth of archival documents and photographs from Whitman’s collection, and first-hand accounts of encounters and stays at the shop by visitors and residents specifically collected for this publication, the book is a memoir of a place with a magical and warm personality all its own. 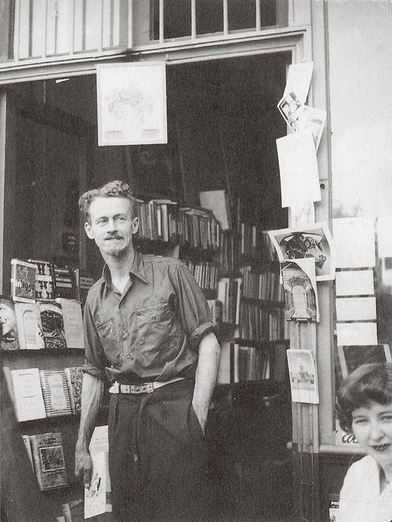 Tonight, beginning at 7PM, City Lights Books presents editor Krista Halverson and guest speakers celebrating the release of Shakespeare and Company, Paris: A History of the Rag & Bone Shop of the Heart, a copiously illustrated account of City Lights' famed Paris sister store on its 65th anniversary. In celebration of Shakespeare and Company, Paris: A History of the Rag & Bone Shop of the Heart, the first fully-documented "memoir" of George Whitman's eccentric English-language bookstore on the Left Bank of the Seine, we present this video, directed by Lisa Paclet, from the store's archives - a tiny selection of the more than 30,000 artists and writers who have stayed at the store as "Tumbleweeds" over the last 65 years. The editor of the magnificent new 384-page illustrated history of the legendary Paris literary bookstore (and home-away-from-home to decades of expatriate writers and cultural figures) contributes a text on the making of a book which had to be gotten right, whose archive never stops growing, and whose motto, inscribed above the library door in the rue de la Bûcherie store founder George Whitman's own hand, reads, "Be not inhospitable to strangers lest they be angels in disguise." FORMAT: Hbk, 6.25 x 9.5 in. / 384 pgs / 225 color. Published by Shakespeare and Company Paris.